Szego Materials Engineering Inc. produces three sizes of The Szego Mill, a high-efficiency industrial grinder. It offers 30x greater volume capacity of a similar-sized ball mill, using up to 50% less power. The Szego Mill is a modular unit and allows tool-free maintenance, cleaning, and swapping of parts to change between jobs in minutes. Customizable grinding rollers with an average 10-year lifespan give fine control over particle output size and distribution. There is no grinding media to replace. The Szego Mill will make its commercial debut at Powder & Bulk Solids Toronto, June 4-6 in Booth 261. Invented in 1971 by Laszlo Szego, this machine has been heavily developed and refined over the last four decades by Dr. Prof. Olev Trass of the University of Toronto Applied Chemical Engineering Dept. Although never previously commercialized, the Szego Mill has been the subject of more than 20 commercial pilot projects throughout the world. 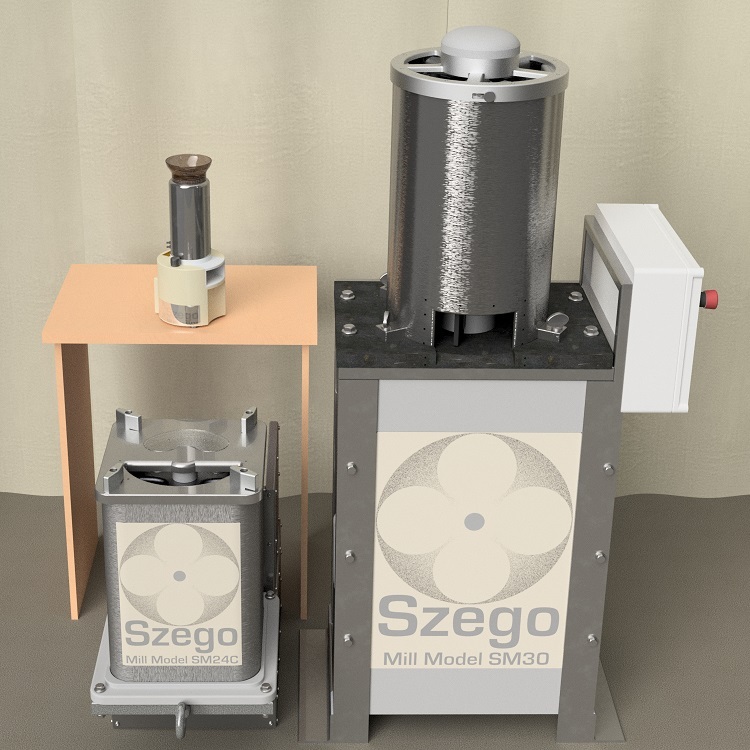 These have resulted in more than 30 patents and over 100 published research papers that conclude that the Szego Mill offers high cost savings and return-on-investment when used with materials ranging from coal and oil fuels, to pulp and paper; anaerobic digestion of wastes; protein, oil, and mineral extraction; food processing and more.